We are gathered here today, to share our fond memories of Play-Doh and bid it a final farewell. Play-Doh has always been an integral part of our family’s home life. We spent many carefree days, sitting around the table, employing our dear Play-Doh in the art of mess-free sibling bonding. Our kids would spend hours, yes hours, sculpting it into various shapes of the imagination. Miraculously, they never fought while in the company of Play-Doh. It had some innate peace evoking quality that seemed to bring the kids together in one harmonious quest to build the perfect art form. I will never be able to explain how it was able to do this. No other object, art supply or over the counter medication educational television program sedated my naturally crazy children long enough to allow them to get along with their siblings, the way that Play-Doh did. It was pure magic in the form of modeling compound. As the children grew, their creations became more magnificent. 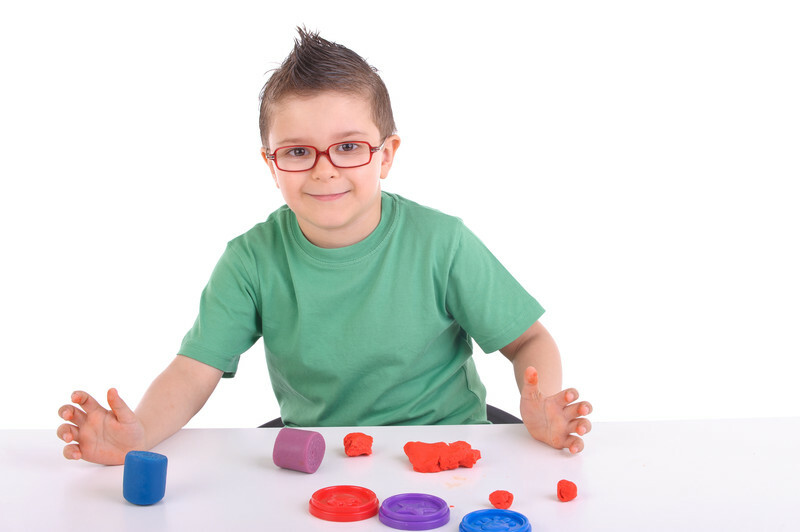 The time that they spent with their friend, Play-Doh, became increasingly productive and educational. The kids would fashion literary characters and play out scenes from their favortie stories. Sometimes, we would have contests to see who could mold the most interesting abstract picture or fantastical creature. It was quality family time at its cheapest finest. Most days, however, I took advantage of the battle free period to do some Facebook time chores. It was the only time that I could do anything without being constantly summoned to mediate an argument or stop a kid from bludgeoning his brother’s face. There was something so stress relieving in watching the kids scamper to get the Play-Doh from its designated spot in the art cabinet. It was the greatly appreciated granting of God’s permission to be lazy productive in an area of my life that did not entail threatening persuading seven kids into taking a nap, in order to do so. Sadly, those days are over. We knew that Play-Doh would not be around forever. It was not the death that shocked me; it was the way in which it went that really left me at a loss for words. I had always imagined pre teen kids telling me that they no longer were interested in sculpting the vividly colored dough, because it was no longer cool and did not require batteries. I thought that, surely, we had a few good years left with our dear friend. Today was not the day that I had ever pictured having to bag up its remains and lay them to rest in the big brown receptacle, outside. Alas, we know not the hour, nor the day that our children will outgrow us. For my family, it was today…the day that Trenton decided to take his knowledge of the human body and design a detailed replica of one of the most fascinating, yet taboo, parts of the male (complete with pubic hair.) His phallic creation was a sure sign that we could not prolong its departure from our home. The days of innocent sculpting and occasional sibling camaraderie are gone forever. We will miss you, Play-Doh. Your memory will live on in our hearts forever. I read this article and found it very interesting, thought it might be something for you. The article is called Play-Doh’s Untimely Death: Phallic Creations with Play-Doh and is located at http://www.imperfectparent.com/articles/play-dohs-untimely-death-phallic-creations-with-play-doh/.